This is a guest post from Gina of Kleinworth & Co.
With the holidays behind us I’m sure ready to scale back & simplify things around here. How about you? 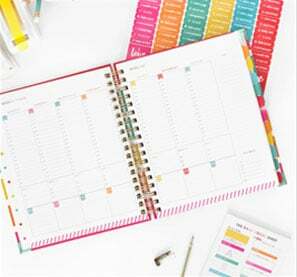 From the things I commit to on my calendar all the way down to the choices I make for dinner, I want things to be easier than ever. It doesn’t hurt if it’s quick too, because we all know that dinner time can be so chaotic already. So what better way to ease things up than to make some simple, almost effortless side dishes to satisfy your hungry family. 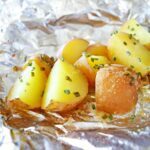 I love making these Easy Roasted Potatoes because they are packed full of flavor, nutrients & only require a handful of ingredients & less than 30 minutes to make. I can literally get these going, pop them in the oven & I’m free to work on my main dish. By the time that’s done- so are these potatoes & it all comes together perfectly. If your kids are older like mine, you could even have them help with this while you work on the other dishes. Sometimes I like to have my kids wash & prep the potatoes & other times I have them preparing salad as I work on getting these foil packets together. Step 1: Start by preheating the oven to 375 & cutting your potatoes. I like to quarter them so they are more bite size. 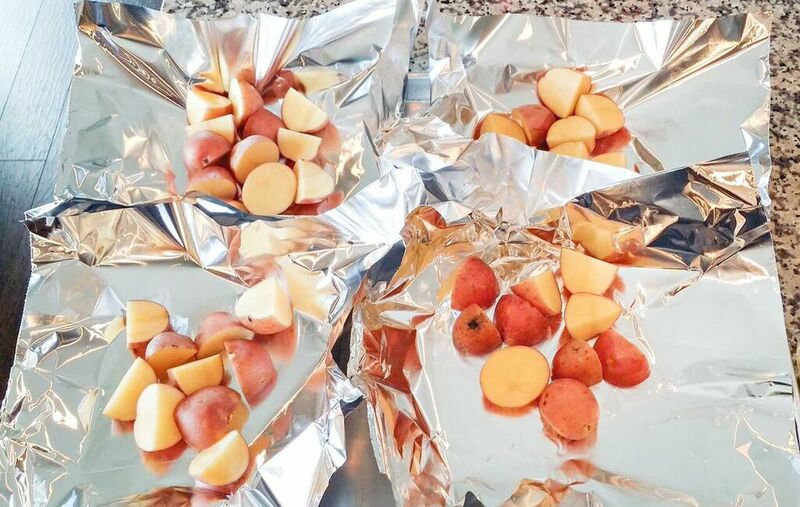 Step 2: Place potatoes on sheets of foil on a large baking sheet. Combine olive oil, lemon juice & seasonings in small bowl & whisk until combined. 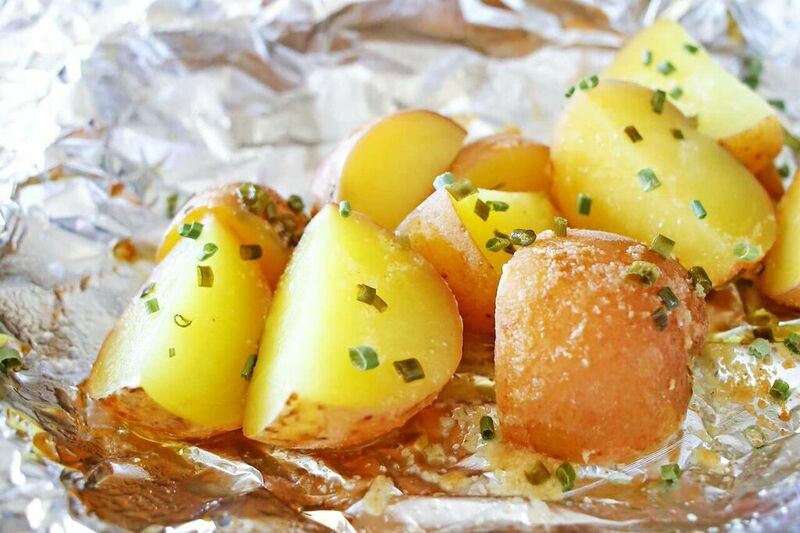 Spoon over your potatoes – it’s not going to coat them completely, that’s okay. Step 3: Fold the foil in & pinch tightly so it’s sealed closed. Bake about 17-25 minutes or until tender. These are so delicious. I love serving them along side fried chicken or my favorite garlic butter filet Mignon. I love that these are simple enough that I can get the kids in the kitchen & learning. They already know that they can eat quick & still keep it healthy which is great. You can make dinner less of a chore when the recipes are swift & easy like this one. These potatoes come together with just a few ingredients and make a great side dish for any meal. 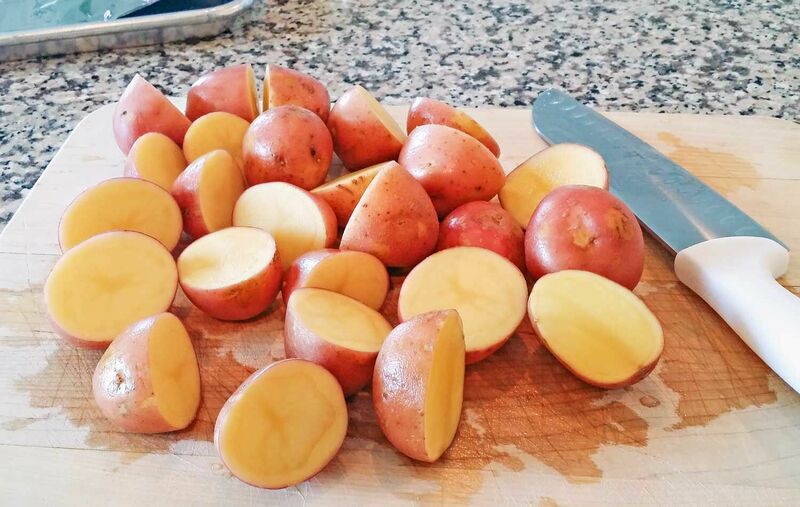 Start by preheating the oven to 375 & cutting your potatoes. I like to quarter them so they are more bite size. 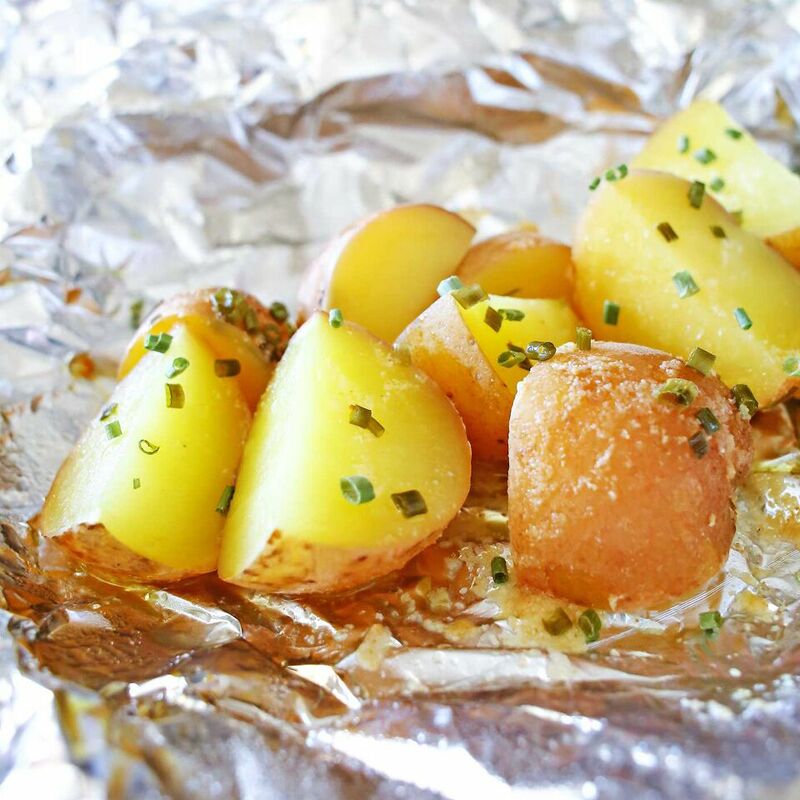 Place potatoes on sheets of foil on a large baking sheet. 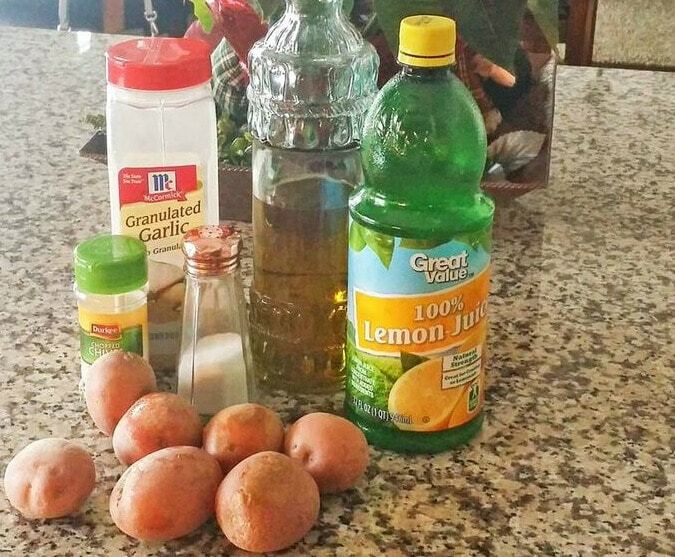 Combine olive oil, lemon juice & seasonings in small bowl & whisk until combined. Spoon over your potatoes - it's not going to coat them completely, that's okay. 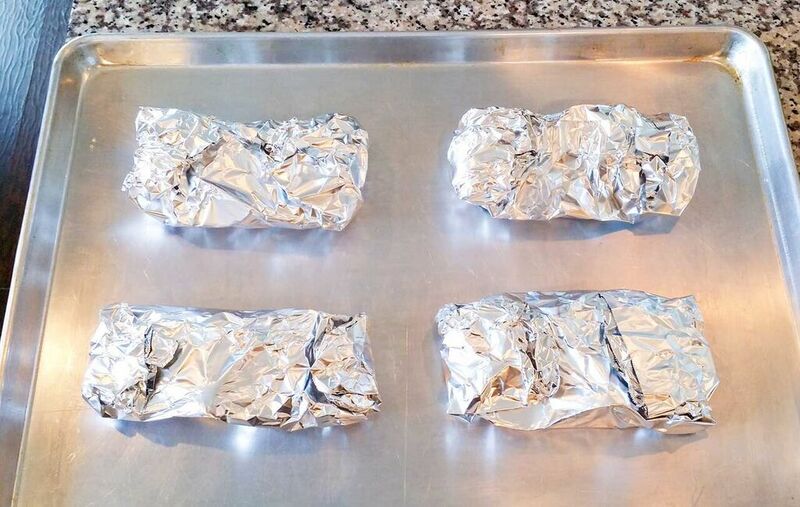 Fold the foil in & pinch tightly so it's sealed closed. Bake about 17-25 minutes or until tender. 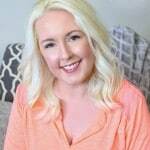 Gina, author of Kleinworth & Co, is a busy homeschooling mom to 3 great kids ages 11-17. She likes to find new ways to make life simple & streamlined on a budget. 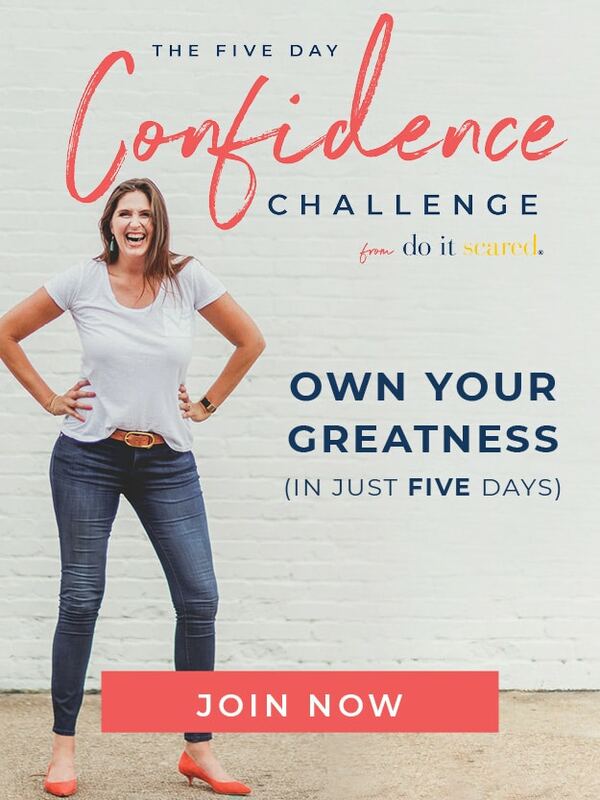 She loves to share easy DIY projects, fun crafts with the kids & a whole lot of recipes, with a few photography tips sprinkled in occasionally too. Mmm…these look delicious. I love roasted potatoes, but I’ve never tried them wrapped up like that before. I’ll give it a try. Thanks for sharing! What temperature do you cook the potatoes at? Oven temperature should be set at 375. Would 350 be about right for roasting these potatoes? 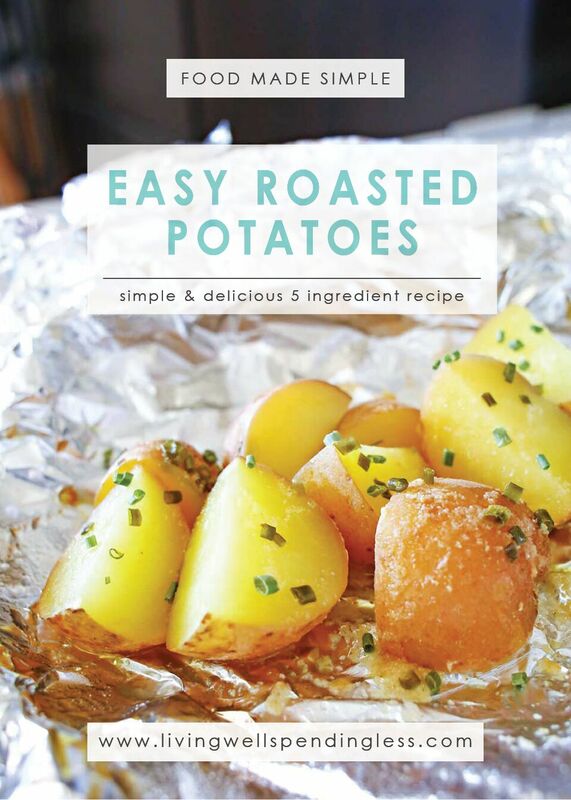 I love cooking in foil and would love to try these. Thank you…I just printed of your recipe. Can’t wait to make them.